How to recover Bangladeshi lost passport? 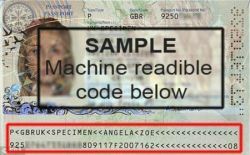 If you lost or stolen your machine readable passport to take replacement passport you have to follow some rule and regulation .You can apply any Bangladesh local mission in aboard . Make a compliment at your local police station called G,D. You need pervious passport photocopy . Two passport size recent photo . Passport fee (it depends on local embassy /Bangladesh mission ). National id card or Birth certificate and make sure it is register online . Download Bangladeshi passport form . Fill up and give require information . New passport will be valid 5 years . Must be present applicant during passport application at your local Bangladesh mission .